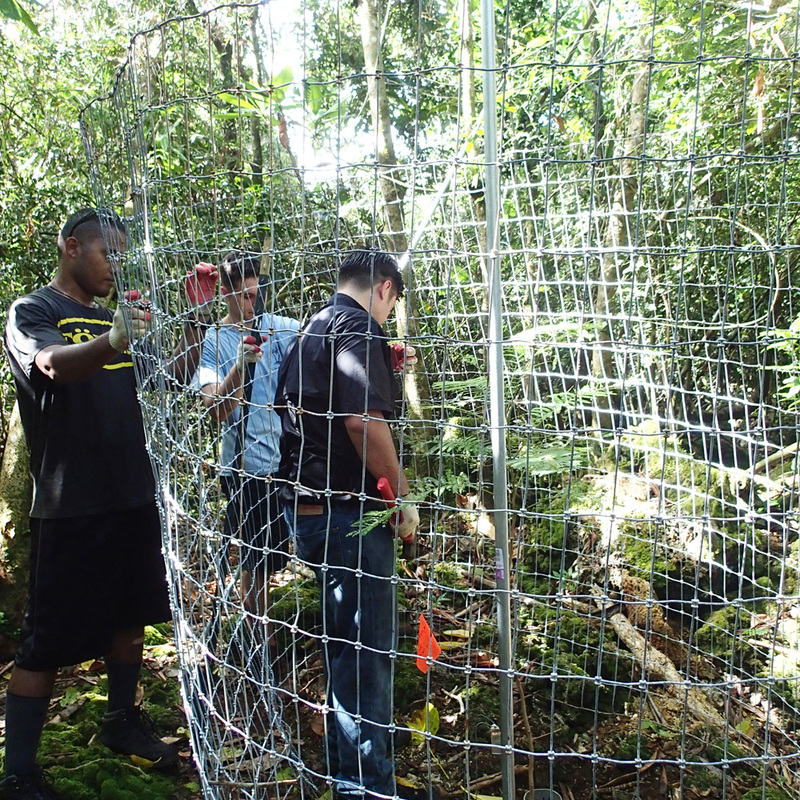 The Guam Plant Extinction Prevention (GPEPP) program is making a difference for Guam’s rarest plants reversing the trend toward extinction by managing wild plants, collecting seeds and establishing new populations. GPEPP conducts surveys to locate founder plants. After monitoring health, vigor and phenological status of individuals, GPEPP staff collects genetic material (seed, cuttings, meristematic tissue, spores, pollen or other form of propagules) from all plants of target species for ex situ propagation and live plant storage, tissue culture or seed storage. Guam Rare Plant Restoration Group is the advisory board for GPEPP that approves what is listed as priority plants as well as specific areas to do the outplantings. “At present, the highest priority plants for GPEPP are Serianthes nelsonii and ‘to-be-listed’ species proposed by US Fish & Wildlife. We have survey teams monitoring the phenology, and other teams working on propagation and outplanting methods for these plants,” said project coordinator Else Demeulenaere. 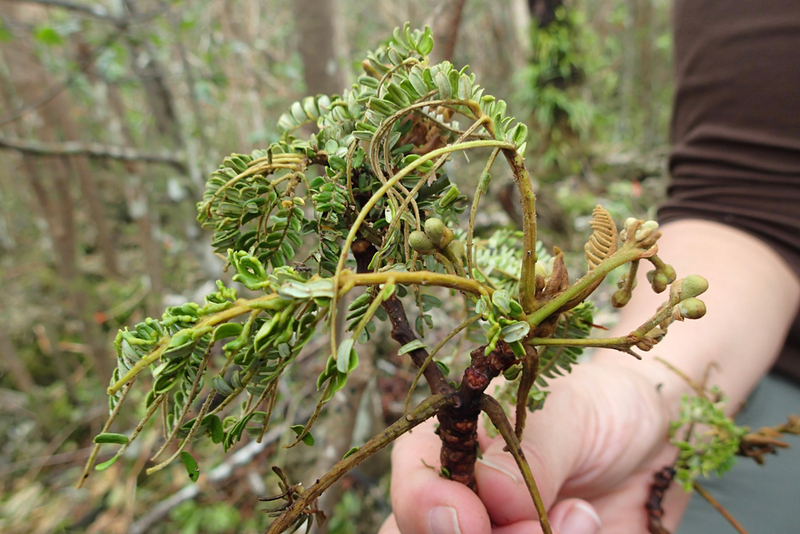 Research on Guam’s rarest tree, Serianthes nelsonii, has resulted in the propagation of many seedlings. Forty-two trees were recently outplanted in their natural habitat. “Guam currently is home to only one mature Serianthes tree. Rota is thought to have fifty or sixty mature trees. Genetic research will determine whether the trees on Guam and Rota are conspecific. The phylogenetic relationship to other species in the region may shed light on the route Serianthes took to establish in the Mariana Islands,” said Demeulenaere. GPEPP collaborates with conservation partners to safeguard wild plants as they occur in their natural habitat or are outplanted in protected areas. 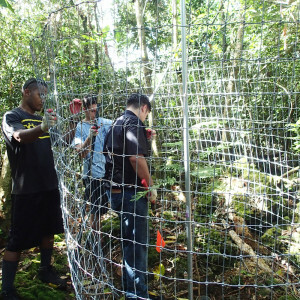 Partners include the Guam Department of Agriculture, US Fish & Wildlife, US Forest Service, Micronesian Challenge, US National Park Service, USDA-NRCS, Naval Facilities Engineering Command Marianas (NAVFAC), and the Hawaii Plant Extinction Prevention Program.